A cloud file extension is related to the GOM Atos 3D digitizer. A cloud files store 3D data. What is cloud file? How to open cloud files? The cloud file extension is associated with the GOM Atos, a 3D digitizer used to produce 3D surface data. The .cloud file contains 3D data captured by Atos. The .cloud files are viewable in Rapidform Explorer. Rapidform Explorer is a free viewer of Rapidform and other current 3D scanner formats. 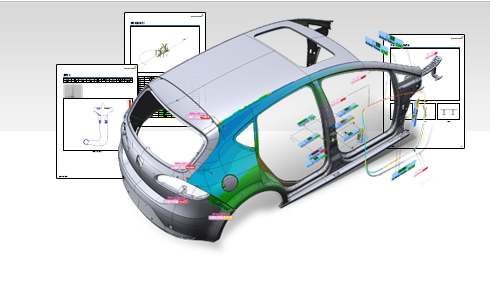 Share and view inspection results and a multitude of 3D scan data and CAD formats with Rapidform Explorer. This free viewer application, based on Rapidform XOV, lets anyone view the results of inspections created in XOV, including deviation color maps, dimensions and tolerances. Use compatible tools to view content of *.cloud files. Compatible tools are able to export *.cloud files to other formats. and possible program actions that can be done with the file: like open cloud file, edit cloud file, convert cloud file, view cloud file, play cloud file etc. (if exist software for corresponding action in File-Extensions.org's database). Programs supporting the exension cloud on the main platforms Windows, Mac, Linux or mobile. Click on the link to get more information about Rapidform Explorer (Geomagic Verify Viewer) for view cloud file action.